This page has been accessed 873 times. Johann Schauer was a Palatine Migrant. I have found Elisabetha Catharina Lauck in The Palatine Families of New York vol. 1 pages 522 and 523 by Henry Z Jones, Jr. The spelling of her name at birth is Lauck. It says she was baptized on 10/7/1696. She married Johann Michael Schauer in 1717 (Tulpehocken Chbk. entry after the event). 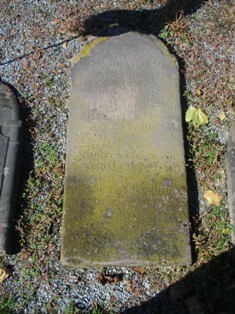 The will of Michael Schauer of Heidelberg was dated Nov 27, 1771 and probated Aug 26, 1772 (Berks County Will Bk 2, p.117) Upon Michael`s death, his estate was valued at 1950 pounds 11 shilling and two pence. The estate was left to his wife, Elizabeth, for her use until her death, then to be divided equally among his children. Note: The Field Family Tree has more information for his descendency. Note: The Field Family Tree indicates that he was confirmed on Easter Sunday. in the Lancaster, Pennsylvania, Mennonite Vital Records, 1750-2014 Name: Michael Schauer Relationship: Father Household Members: Name Relationship Catharine Schauer Child Michael Schauer Father Anna Margaret Schauer Child Anna Christina Schauer Child Magdalena Mother Elizabeth Catherine Lauck Spouse Ephrosina Schauer Child Valentine Lauck Father-in-law Anna Catharine Ruhl Mother-in-law John Adam Schauer Child Elisabeth Schauer Child Magdalena Schauer Child Michael Schauer Child Source Information Ancestry.com. Lancaster, Pennsylvania, Mennonite Vital Records, 1750-2014 [database on-line]. Provo, UT, USA: Ancestry.com Operations, Inc., 2015. Original data: Genealogical Card File. Lancaster Mennonite Historical Society, Lancaster, Pennsylvania. WikiTree profile Schauer-24 created through the import of Lupton file.ged on Jul 8, 2011 by Kim Ostermyer. See the Changes page for the details of edits by Kim and others. The Palatine Families of NY by Henry Z Jones, Jr.
 Can you add information or sources? Schauer-234 and Schauer-24 appear to represent the same person because: these profiles look like they might be intended to be the same person (but 1699 seems correct birth date - 1720 apparently based on wife b 1720, but possible duplicates for her have b c1700 - and 1820 death appears to be "filler" guess of 100 years from 1720 that some programs add). Please merge if you agree these were intended to represent the same person... and review the profiles for daughter Catherine (sp? ): Schauer-10 & Schauer-233 are married to same man but birth dates are 1723 & c1745. Schauer-293 shows b 1731. Thanks! Schauer-284 and Schauer-24 appear to represent the same person because: I am confident that these are the same person, but with some different info. Johann is 39 degrees from Graham Chapman, 18 degrees from Janet Wild and 15 degrees from Henry VIII of England on our single family tree. Login to find your connection.